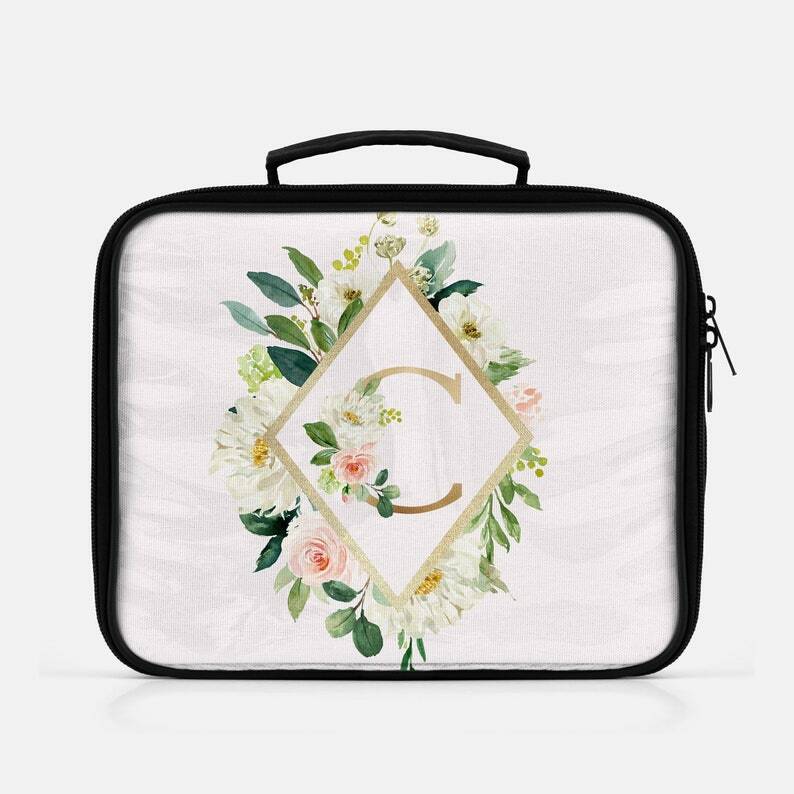 Our beautiful blush pink and gold initial floral lunch bag can be used for back to work, back to school or traveling the world. Printed and shipped from the USA, each insulated lunch tote is personalized with your choice of initial. The lunch bag is not only practical, it is also stylish and elegant.